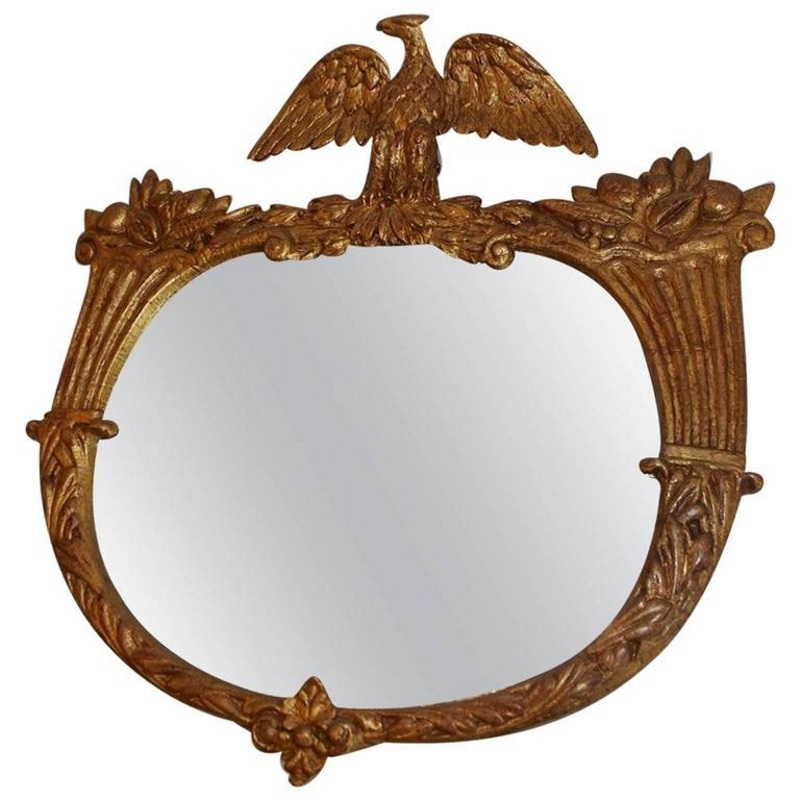 American gilt carved wood wall mirror with flanking cornucopias, perched eagle to flee and decorative floral medallions. Mirror retains the original glass and wood back. Mid-19th Century.